High performance salespeople view the customer as the center of buying process. This attitude enables them to concentrate on the customer’s needs. By concentrating on the customer needs, the salesperson builds trust that establishes the salespersons’ right to advance. People believe more what they say than what you say. Therefore, salespeople who give customers the opportunity to be convinced through involvement are most likely to be successful. But in today’s competitive market, you have to sell better than ever before, not only do you face stiffer and more knowledgeable competitors, but like most professional sales people, you have less and less time to spend with your customers. This is real truth, whatever kinds of sales activity you are involved in. In a recent sales survey, one company discovered that, its salespeople spent only two and a half hours in a day in front of customers. The balance of their time was involved in travelling, waiting, doing paper work, sitting with computer and other related tasks. It is evident that, in today’s market place you have to make every minute count, the more skillful you are with your customer, the more sales you will make. The Result……? More satisfied customers for your company and the more success for you. 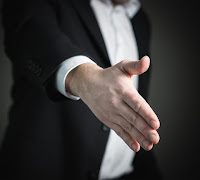 Professional selling skill will help you make that sale by giving you the opportunity to learn new skills and improve techniques you are not using. Almost millions salespeople in more than a thousand companies have improved their performance by developing the skills learned in a similar type of sales techniques mentioned below posts. But to make this work, you have to invest time and effort. I am sure that you will find this to be one of the most useful experiences in your professional career. In every industry the job of the professional salesperson has changed significantly in the past decade. No longer is he a simple seller of products and services, today’s professional is a marketing expert, a prospector, a time manager, an application expert and a consultant. No matter what products or services you services or products you sell, you are a company in the eyes of a customer. Similarly your customer represents his or her company to you. But most important, both you and your customers can have needs that can be satisfied by a successful sales interaction. In other words, for a sale to be totally effective, both the buyer and the seller must have their needs satisfied. But there is no formula for good solid need satisfaction. Perhaps the only rule is ‘flexibility’. Step-by-Step, techniques of selling fail to deal with customers as a human being with constantly changing needs, ideas and attitudes. Problem change daily as do schedules, finances and priorities. Therefore the successful salesperson must be flexible in using his or her Professional Selling Skills. Set a direction for the call at the beginning. Ask questions to uncover customer needs. Provide products benefits that satisfy these needs. Handle ever-changing customer attitudes of acceptance, skepticism, indifference and objections as they occur. Here I will endeavor to cover all these areas in my posts and also briefly and clearly mentioned the essential and additional engineering requirements to salespeople at Engineers Portal in developing the skills in these areas to improve your sales effectiveness. Moreover, all the posts written over here are based on field experience, coaching and training taught by my employer during my service. This is to provide grounding in to this Sales process, which would be followed up by field visits, and coaching on the field. Any process of change or transition requires a large amount of consistent effort to ensure that it takes place and change most often takes place by design rather than chance.